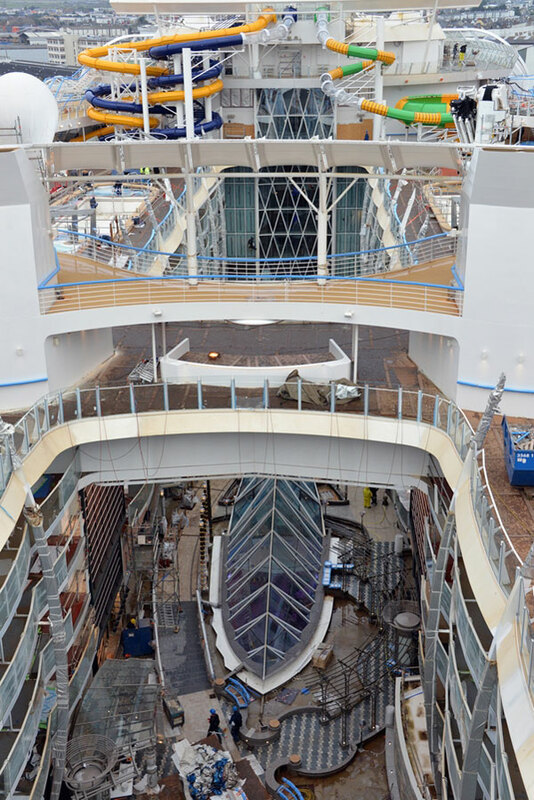 View the latest February collection of Royal Caribbean's Symphony of the Seas during the final stages of construction at the STX France shipyard. 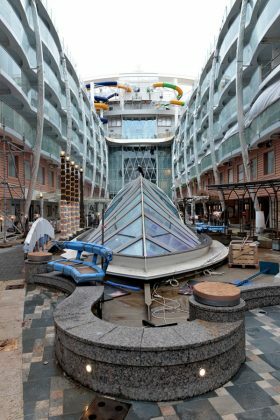 Royal Caribbean has released more photos of Symphony of the Seas which is very near to entering service. In March the Oasis-class ship will be complete so these may not be the last batch released from the cruise line. 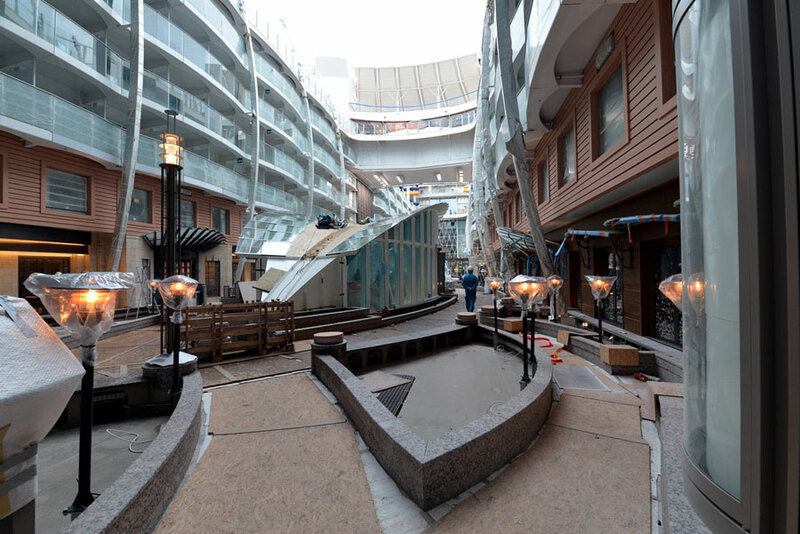 Hopefully, we’ll get a chance to see Symphony of the Seas again when all the very final touches are being made at the shipyard. So in this first batch for February Symphony of the Seas can be seen to be coming along nicely. Most of the work is now taking place inside as the majority of the exterior construction was completed last year when the ship was floated out. 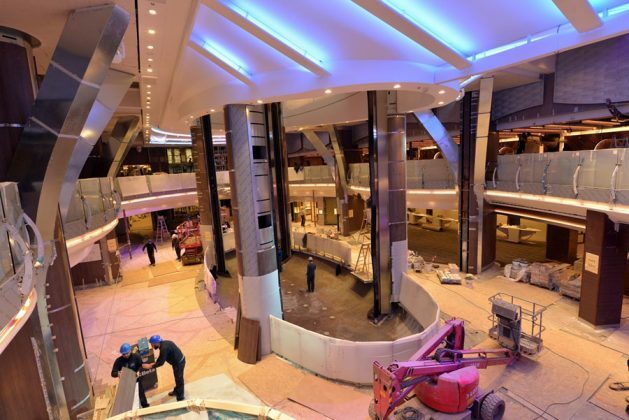 As you can see the spaces are almost complete, do take a look at the last collection of photos released from Royal Caribbean right here. You can compare and keep going back viewing older construction photos, it’s been nice to see how far the process has come at the STX France shipyard. 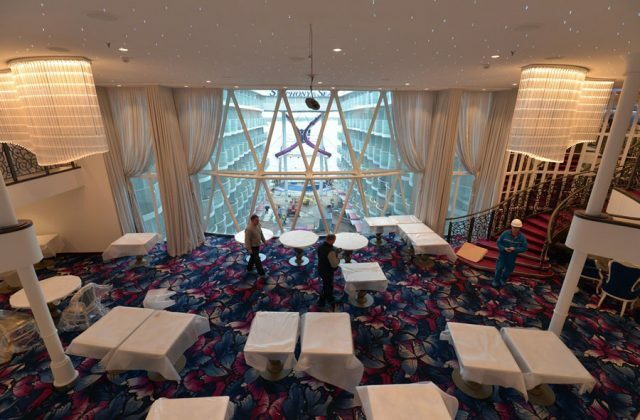 All the crew members will soon start to arrive at the shipyard to begin setting their departments up for the first cruise guests this March. 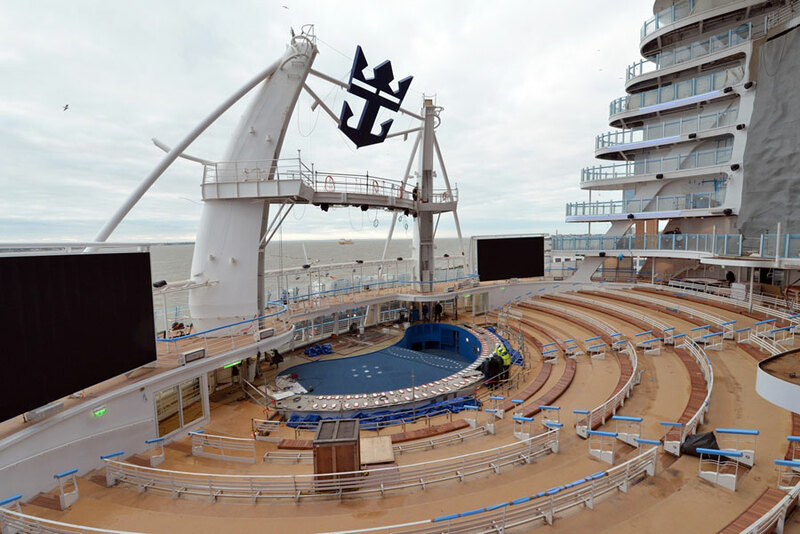 Symphony of the Seas will set off on its maiden voyage on March 31, 2018, from Barcelona, Spain. 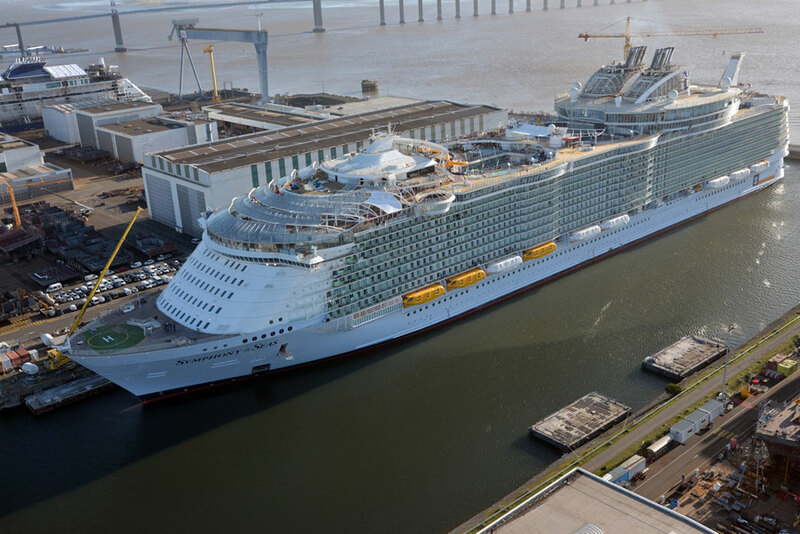 Starting November the new world’s largest cruise ship will begin Caribbean cruises from the new Royal Caribbean terminal at PortMiami, Florida. 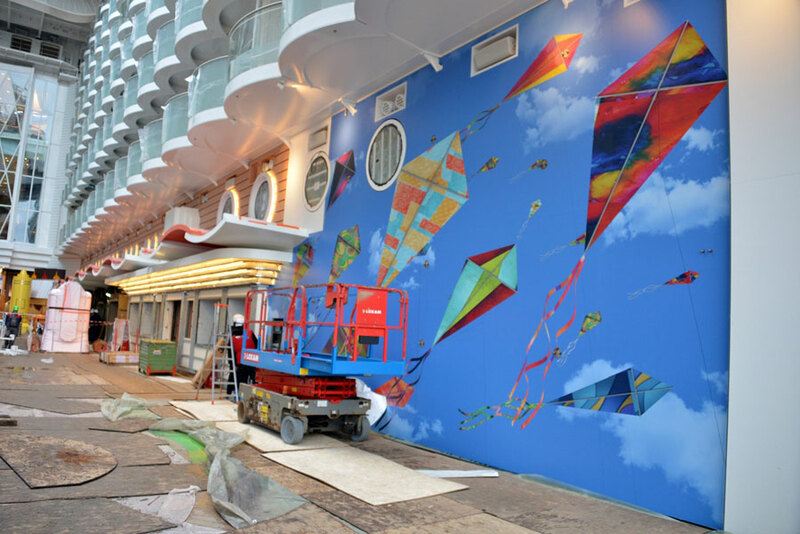 The cruise line released a new video showcasing the one of a kind Ultimate Family Suite. It is a good insight into the design aspect of the new suite, take a look and watch the video. Keep your eye out for further posts as we get closer to welcoming the world’s largest cruise ship at a huge 230,000 gross tons.